Fun Pack makes two Christmas stockings that sew up quick! FAST and FUN, easy for kids, SMART for everybody! A great hostess gift, gift bag, or door ornament. One panel makes one lined stocking. First time users, get the pack first. 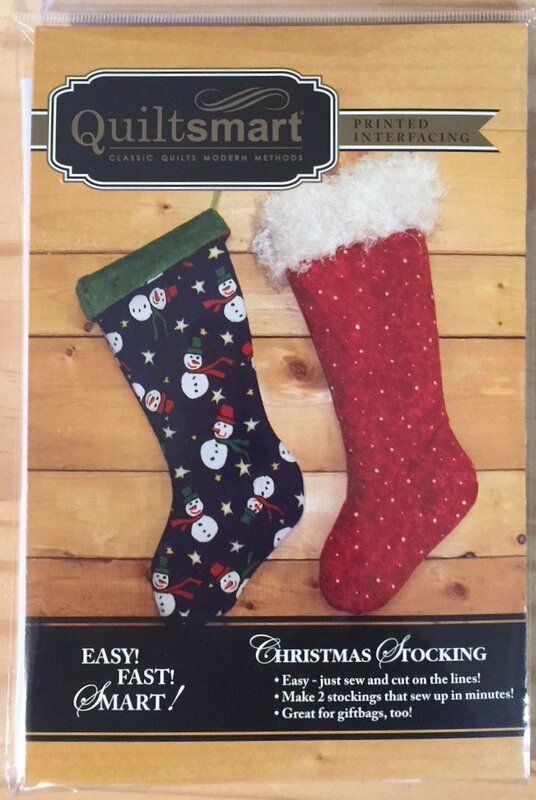 Pack includes (2) panels of Christmas Stocking fusible interfacing, cording, and instructions. We used Quarter Circle Interfacing for the Toe & Heel on the "Steve" Stocking. Adorable made from cotton fabrics, old sweaters, vintage quilts & linens! Perfect for embellishing with embroidery, beadwork, felt, buttons, Quiltsmart's Raw Edge Letters (Practical Art) and all kinds of things....endless! New to browsing websites? Click on the image to the left and use the side arrows to see more info and pictures.